Exploding Tuba Studios: Creators of Divide. Every facet of story in Divide is delivered with a bias. A snippet of dialog may be a half truth, an old memorandum may be mere propaganda. As the player gains new insight, discerning truth from lie becomes more and more of a concern. 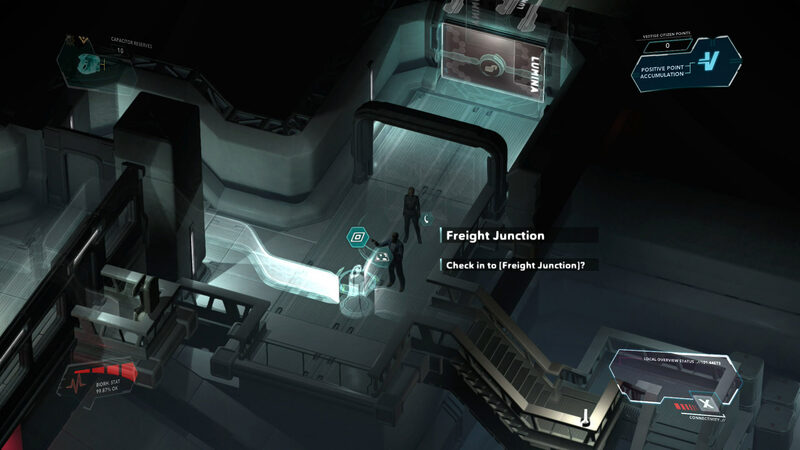 Each new revelation expands dialog options giving the player opportunity to come to their own conclusions about what to believe. Similar to a dual-stick shooter, the player moves with the left stick and aims with the right stick. 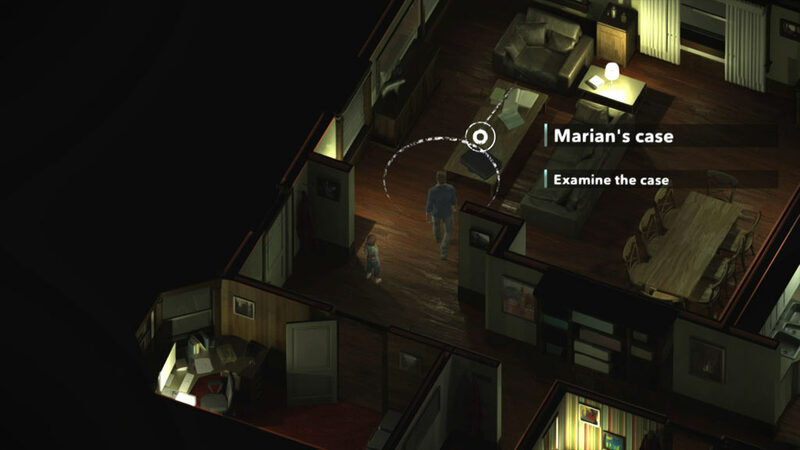 Everything else from sprinting to shooting a sidearm to interacting with the main character’s augmented reality interface are mapped to the shoulder buttons. Fingers and thumbs stay put, while the player stays in control. Combat in Divide is stacked heavily against the player. Each encounter has the potential to get completely out of hand. Combat areas, big and small, can be directly assaulted using a futuristic side-arm and the potential aid of an ally. The player also has the option to slink through using stealth and misdirection by hacking the enemy’s own communication. Divide is a science fiction dungeon crawl. 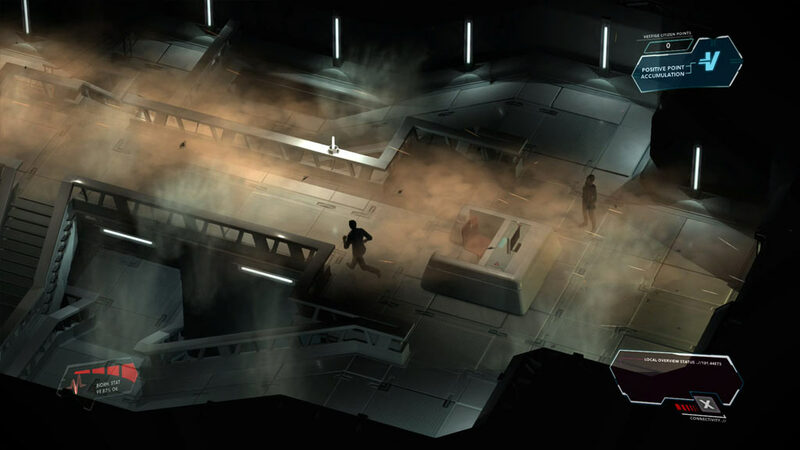 Power up derelict complexes, unlock jammed doors, and delve into long abandoned computer networks as you dust off the secrets of the mighty Vestige Corporation. 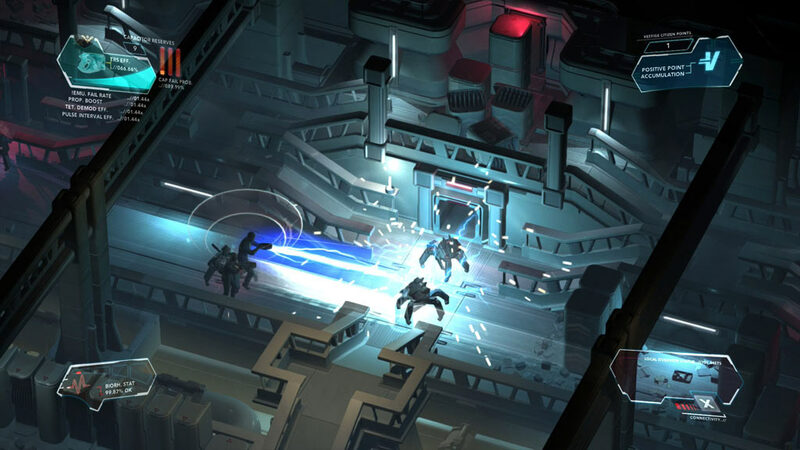 Players explore expansive “detail mapped” isometric environments and stroll through deep matte paintings that bring Divide’s world to life. Great things are possible with the dedication of an amazing group of people. We're lucky enough to have a wonderful crop of talented professionals to get the job done. Let your friends know how great we are. Unless you don’t like us, in which case, shhh!